Dimethyglycine, sometimes abbreviated DMG, is a chemical produced in the process of using the B-vitamin choline. 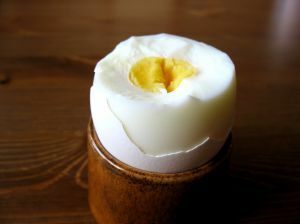 Choline becomes betaine, and betaine can convert the inflammatory chemical homocysteine into the amino acid methionine. This process also creates dimethylglycine, which becomes the amino acid glycine. In turn, glycine is used to make the antioxidant glutathione, also known as GSH. In the bloodstream of pregnant women, choline tends to build up. In the bloodstream of unborn babies, betaine and dimethylglycine tend to build up. Researchers this may be because the unborn baby needs more dimethylglycine to make the glycine to make the GSH to protect its rapidly growing tissues from free radicals. But would it make sense for pregnant mothers to take dimethylglycine for the unborn baby's health? The answer is, probably not. The placenta sends choline to the fetus, not dimethylglycine. If a pregnant woman takes a dimethylglycine supplement, the dimethylglycine will build up in the mother's bloodstream, not the unborn child's. Making sure to get enough choline in the mother's diet, however, benefits brain development in the unborn child. Researchers even believe that it may reduce the damage caused by the mother's drinking during pregnancy and Down syndrome. The needed supplement may be choline. It's not dimethylglycine. Pregnant women may benefit from choline supplements because it is difficult to get all the choline they need from food. An adequate intake of choline during pregnancy is about 600 mg a day. That's hard to get from food alone. A 3-1/2 oz (100 g) serving of beef liver provides about 310 mg of choline. A 3-1/2 oz (100 g) serving of chicken provides about 80 mg of choline. A 3-1/2 oz (100 g) serving of soft tofu provides about 70 mg of choline. A cup (240 ml) of milk provides about about 40 mg of choline. A cup (40 grams) of cooked brown rice provides about 20 mg of choline. Many pregnant women may want to stay on the safe side by taking supplemental CDP-choline-especially if alcohol use and age at conception are concerns. If dimethylglycine isn't the supplement needed to protect brain health in the unborn, could it be the supplement needed to protect brain health in the autistic? Twenty-eight studies have investigating the potential of supplementing with a combination of vitamin B6 and magnesium can help children and adults with autism. Many parents and givers offer dimethyglycine with B6 and magnesium. The rationale for adding dimethylglycine to B6 and magnesium supplementation is that the body needs B6 and magnesium for brain health. Vitamin B6 is a cofactor for the enzymes the brain needs to regulate dopamine, epinephrine, norepinephrine, serotonin, and gamma-amino butyric acid (GABA). Magnesium is needed for enzymes that convert essential amino acids to non-essential amino acids in the brain and elsewhere in the body. Since magnesium and B6 are needed for the brain to make enzymes that use trimethylglycine to remove an inflammatory substance called homocysteine, these supplements have been given to autistic persons. Sometimes there is considerable improvement in symptoms, and sometimes there is not. Lowering levels of homocysteine in the brain seems to be helpful only when the brain is using tryptophan properly, which in turn has to do with blood sugar levels and other dietary issues. Nonetheless, sometimes parents and caregivers report tremendous improvement after giving these two substances. Some parents have experimented with giving low doses of dimethylglycine. Three clinical research trials have looked at the potential of using dimethylglycine as a treatment for autism. The brain converts homocysteine into dimethylglycine and methionine, so it was theorized that building up levels of dimethylglycine, rather than lowering levels of homocysteine, was responsible for improvements in autism. None of the three trials of dimethyglycine showed that it helped. 30 mg of B6 for every kilo of body weight, or 15 mg of B6 for every pound. (The dosages have been rounded off for easier computation.) A child who weighs 30 kilos would receive 900 mg of B6 a day. Up to 50 mg folic acid every day. This is a precaution; sometimes B6 without folic acid seems to be associated with hyperactivity. Up to 200 mg of magnesium every day. Start with the smallest possible dosage and slowly build up to 200 mg a day when you are sure it does not cause diarrhea. Typically one would start with 50 mg a day for a week, then 100 mg a day for a week, and finally 200 mg a day. Up to 500 mg of betaine a day, starting with 100 mg and increasing the dosage by 100 mg a day once a week. Anecdotally, about 90% of parents of autistic children who give both magnesium and B6 report positive changes. About 50% of parents report results from adding betaine to the supplement program. There are parents who find that dimethylglycine helps, but it is not as important as these three supplements. The advice to give dimethylglycine for epilepsy derives from the experience of a single person. A case study reported the progress of a 22-year-old man with profound developmental issues who had 16 to 18 seizures a week despite heavy medication. When his mother began giving him 90 mg of dimethylglyine twice a day after it was suggested it might give him more stamina, his seizures dropped to just three a week. Stopping dimethylglycine caused the seizures to resume. A follow-up study, however, did not find any benefit of giving 300 to 600 mg dimethyglycine a day in treating seizures. The study was discontinued after just 28 days of treatment, which might not have been long enough, and it is possible that the benefits of dimethylglycine are limited to lower doses. Other studies have found that dimethylglycine limits brain damage caused by seizures after severe allergies to penicillin, so it is possible that it may be helpful in some cases. Start with a dosage of 50 to no more than 100 mg twice a day for a month, and then increase for another month to see if it helps. Do not discontinue any prescribed medications, and let your doctor know you are using supplemental dimethylglycine. Your experience may help many other people. And what else is likely to help? Vitamin B6 is used by the brain to make the enzymes involved with the use of the amino acid tryptophan. When seizures first occur during infancy, congenital B6 deficiency is often the cause. You should go to a doctor for diagnosis, but treatment with B6 sometimes prevents permanent brain damage. In toddlers, older children, and teens, supplementing with 50 to 200 mg of B6 every day may reduce the frequency and severity of seizures. When vitamin B6 as pyridoxine is not helpful, vitamin B6 as pyridoxal phosphate sometimes works. Severe magnesium deficiency can cause seizures. It is not necessary or advisable to take large doses of magnesium to prevent or correct magnesium deficiency. Children taking more than 500 mg of magnesium a day and adults taking more than 1,000-1,500 mg of magnesium a day sometimes have loose stools. As little as 100 mg a day for children, 300 mg a day for teens, and 1,000 mg a day is a sufficient dose of magnesium. The B vitamins biotin, thiamin, and folic acid, as well as vitamin D and omega-3 essential fatty acids may help. L-carnitine prevents side effects caused by the antiseizure medication Depakote (valproic acid), sometimes labeled as Depakene for children's dosing. Dimethyglycine drops are a popular supplement among pet owners. Dimethlyglycine is advertising for use in treating diabetes in both dog and cats, mange in dogs, and feline leukemia. 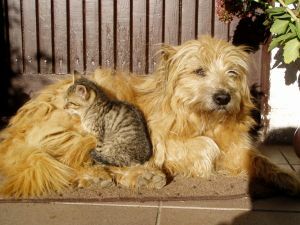 It is also used to treat "doggy Alzheimer's" and "kitty Alzheimer's," age-related eye problems in both dogs and cats, and as a general immune stimulant for birds. It's supposed to increase stamina of race horses, too. But does it really work? Clinical studies with cats have only tested whether a single 100-mg dose of dimethylglycline would increase a cat's immune response to vaccination for feline herpesvirus or feline calicivirus. It didn't. Another test found that dimethylglycine supplements actually reduced cats' immune response to vaccinations for Newcastle disease. If feline immune systems worked the same way as humans, dimethylglycine might be useful in treating feline leukemia. But there is no scientific evidence that it helps cats overcome feline leukemia. No study has ever demonstrated a benefit of dimethylglycine of any kind for horses. Despite the lack of any evidence of benefit, dimethyglycine is a very popular supplement for birds, cats dogs, and horses. We at least know from 20 years of widespread use that it is not harmful to them. The more important question is, if dimethylglycine does not work, what does? Animals have nutritional requirements that are quite different from humans. Here is a list of supplements that don't work, followed by a list of supplements that do. Grains are not a basic food for cats, and too much grain in a cat's diet can cause urinary problems. Urinary tract blockages in male cats are usually caused by magnesium struvite bladder and kidney stones. Magnesium builds up in alkaline urine and dissolves in acidic urine. An "acidifying" diet is normal for cats. The more grains are added to a cat's diet, the more alkaline the cat's urine, and the less magnesium it can remove in its urine. Cats do not need vitamin C. Unlike humans, cats make their own vitamin C. Cats do not need dietary vitamin C, and providing them with vitamin C can actually cause stones that block the urinary tract, especially in male cats. Cow's milk and puppy milk replacements tend to provide too much calcium and vitamin D, causing excessive growth in bones that can lead to canine joint problems later in the dog's life. Dimethylglycine does not control seizures in dogs. Neither do essential fatty acid supplements. And the veterinary supplements that actually do work? Cats need more arginine than most animals do, because they do not have an enzyme that in most other mammals converts ornithine to arginine and vice versa. Cats that do not get enough arginine in each meal can suffer severe consequences from elevated arginine levels. Cats need the amino acid taurine to regulate cholesterol. Humans can make the bile salts that the liver uses to flush excess cholesterol out of the bloodstream with either glycine or taurine, but taurine is especially important to cats for cardiovascular health. Humans can make vitamin A from beta-carotene, but cats need vitamin A from animal foods such as cream or very small amounts of cod liver oil (less than the dose for a human). Omega-3 essential fatty acid supplements help relieve most skin conditions in both dogs and cats. Puppies given antioxidant supplements before they are taken to the vet for their first set of shots usually have a stronger immune response to parvovirus and distemper immunizations. The probiotic Lactobacillus casei may increase immune vigor in dogs. You can provide your dog with this probiotic bacterium by feeding small (teaspoon-sized) amounts of yogurt containing active cultures of Lactobacillus casei (Lactobacillus acidophilus is a different microorganism) or by giving your dog small amounts of a probiotic supplement containing Lactobacillus casei. Magnesium supplements may enhance the action of antibiotics in treating horses. How can you provide the animals in your life with these supplements? That is a bigger topic than I can cover in this article, but you can download free reports on nutrition for dogs, nutrition for cats, nutrition for birds, and nutrition for horses from this site. Q. Is dimethylglycine useful for treating high homocysteine levels? A. No, the supplement used for treating high homocysteine (it's FDA approved in the United States) is trimethylglycine, also known as betaine. Dimethylglycine is what is left after trimethlyglycine removes homocysteine from circulation.